Baby U Baby Wipes Fragrance Free 240pk Hypoallergenic, Fragrance Free, Alcohol Free. 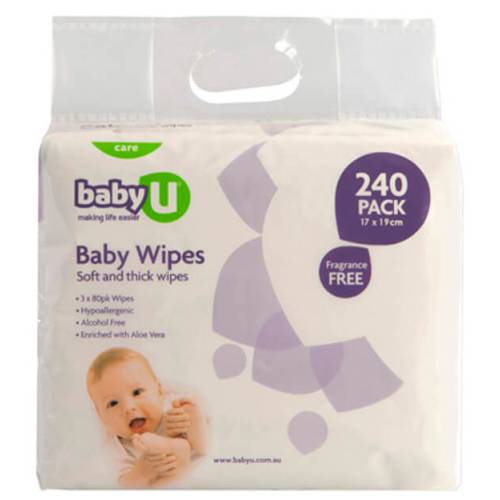 Baby U Baby Wipes are perfect for using on little ones at nappy change time. The wipes feature gentle cleansers and are enriched with Aloe Vera and baby lotion to care for baby’s delicate skin.